The 2015 Chevrolet Equinox stuns yet again this year with its strong engine options and customizable interior. This model has truly become a pioneer in the compact crossover segment, but don’t take our word for it. Take a moment to see how the Equinox fares when pitted against the similar 2015 Ford Escape to understand just how superior it really is. Perhaps what the aspect that puts the 2015 Chevrolet Equinox ahead of its competition would be what’s available under the hood. The Equinox’s engine offerings far exceed those of the 2015 Ford Escape. An entry-level 2.4L four-cylinder engine churns out 182 hp and 172 lb-ft of torque. It achieves an EPA-estimated 26 mpg between city and highway driving when properly equipped. A secondary engine, a 3.6L V6 that generate a mighty 301 hp and 272 lb-ft of torque, allows the Equinox to accelerate from zero to 60 mph in seven seconds flat. Both choices are paired with a six-speed automatic transmission and your choice of front or all-wheel drive on any trim level. The Escape’s base engine is a 2.5L four-cylinder that produces 168 hp and 170 lb-ft of torque, notably less power than that available with the 2015 Chevrolet Equinox’s starting engine. It musters 25 mpg combined. Moving up, the Escape’s two other engine offerings provide significantly less power compared to the Equinox with a 1.6L turbocharged four-cylinder that creates 178 hp and 184 lb-ft of torque, and a turbocharged 2.0 L four-cylinder that makes 240 hp and 270 lb-ft of torque. The Escape doesn’t offer all-wheel drive on its entry-level trim. With the technology available these days, safety has become the utmost priority for vehicles hitting the assembly line, and the 2015 Chevrolet Equinox proves that to be true. The Equinox received the best-possible score of “Good” in the small-overlap frontal-offset crash test conducted by the Insurance Institute for Highway Safety, whereas the 2015 Ford Escape received the lowest rank of “Poor” on the same test. What’s more, General Motors’ OnStar emergency communication system comes standard on every trim, which automatically calls for help in the event of a crash and includes an emergency assistance button should your vehicle break down on the side of the road. Upper-level Equinox models boast rear parking sensors and frontal collision and lane departure warning systems. Rear parking sensors can be added to the Escape, and lane departure and forward collision warning systems aren’t available at all. Keeping you and your passengers entertained and connected while on the road isn’t a novelty with the 2015 Chevrolet Equinox – it’s entirely within reach. Chevrolet became the first automaker to bring 4G LTE Wi-Fi to its vehicles, meaning you can access Internet no matter where you are. It can be installed within the OnStar system, establishing a hotspot that allows passengers to connect up to devices. As opposed to relying on your smartphone’s data plan, the hotspot guarantees quick, reliable Internet service from the moment you start up your Equinox. At the topmost trim, a dual-screen rear seat entertainment system can be purchased to keep kids and adults alike entertained on long drives. Everything within the Equinox has been designed for usability, meaning touchscreens, audio systems, and everything in between are easy to manage. Unlike the Equinox, the Escape hasn’t been equipped with Internet of any kind. It also doesn’t offer an entertainment system in the back seats. Plus, the Escape’s electronics prove difficult to use, leaving drivers and passengers frustrated more often than not. 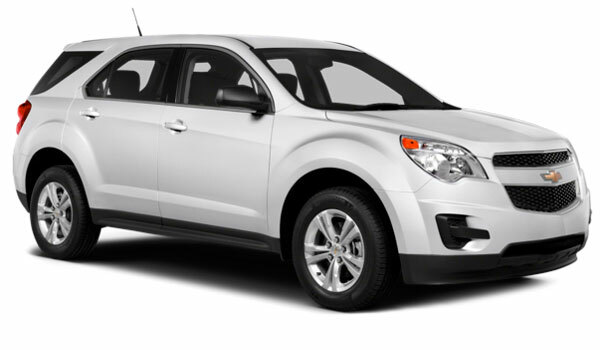 The 2015 Chevrolet Equinox has much to offer at its $22,120 starting price. 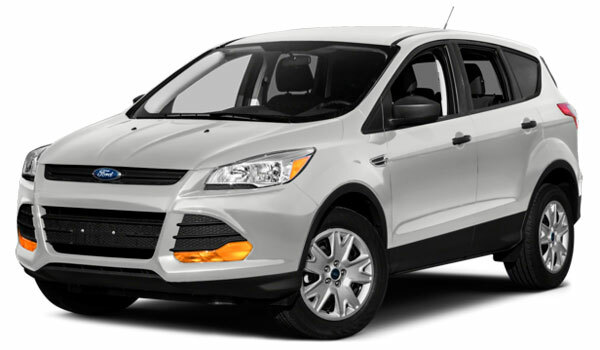 The 2015 Ford Escape, on the other hand, starts at $23,450, yet it hardly provides sufficient power, features, or safety options to justify the price. If you’re looking for value, the Equinox promises the most. If it still isn’t clear how the 2015 Chevrolet Equinox surpasses its competitors in more ways than one, perhaps a trip to Sunrise Chevrolet is in order. You can visit the dealership at 414 E. North Ave. in Glendale Heights, IL during regular business hours – Monday through Friday from 9 a.m. to 9 p.m. and Saturday from 9 a.m. to 6 p.m. If you’d like to schedule a test drive or ask our sales stuff anything about the Equinox, don’t hesitate to give us a call.